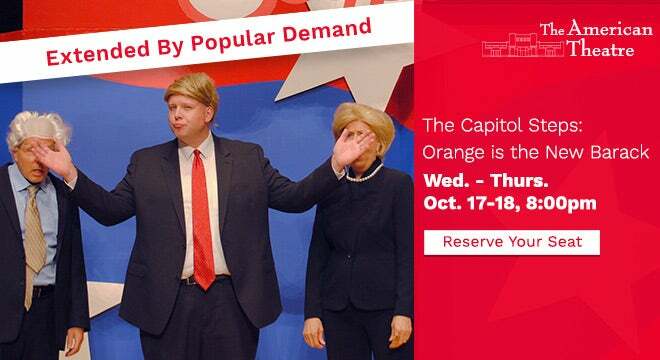 Just in time to blow off some political steam for the pending mid-term elections, the hilarious comedy troupe, the Capitol Steps, pulls out all the stops with its latest show, Orange is the New Barack. The bi-partisan humor features many cast members who have previously worked on Capitol Hill, bringing a laugh-out-loud perspective to the daily goings on at some of our most esteemed government offices. No matter who or what is in the headlines, audiences can bet the Capitol Steps will tackle both sides of the political spectrum and all things equally foolish. What more would you expect from the group that puts the “MOCK” in Democracy?